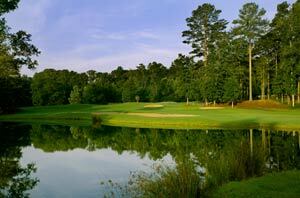 Search All Crooked Creek Homes for Sale - Alpharetta Athletic Club East nested in Crooked Creek sbdv. Crooked Creek is located in the metro Atlanta Golf Mecca of North Fulton and encompasses the Alpharetta Athletic Club East golf course. In the beginning the Alpharetta Athletic Club East was Crooked Creek Golf Club, but with some crafty planning Crooked Creek Golf Club and the nearby Alpharetta Country Club merged and were renamed the Alpharetta Athletic Club. While membership is not required, members benefit greatly from this marriage of clubs with two regulation 18 hole golf courses along all the amenities that come with both facilities with just one membership. With the optional membership in the Alpharetta Athletic Club you'll have access to two regulation 18 hole golf courses within minutes of each other, as well as all the other respective facilities, benefits and social activities of each of the two clubs in one. These amenities include clubhouses, tennis, swimming, fitness, junior, adult and senior activities, social activities, events and more. Crooked Creek has over 600 home sites featuring a variety of Atlanta homes, both executive as well as luxury cluster homes, with prices ranging from $400k to $1m+. Crooked Creek is a beautiful Alpharetta community with dramatic elevations, rolling hills, gorgeous golf course views, spectacular lake scenery and loads of activities for the whole family. Within Crooked Creek there are nine lighted tennis courts, junior Olympic swimming pool with slide, a basketball court, 16 acre lake pictured above and more. There is always something going on in Crooked Creek.